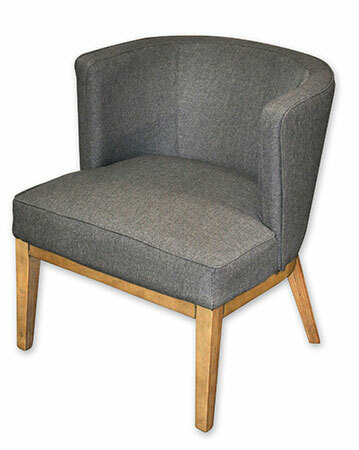 Side chair / Reception chair. 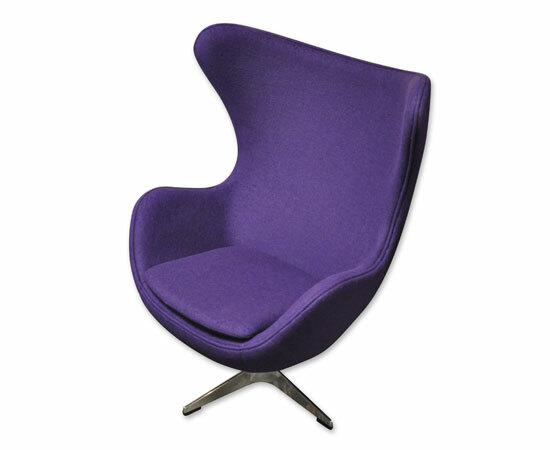 Retro modern fabric reception chair. 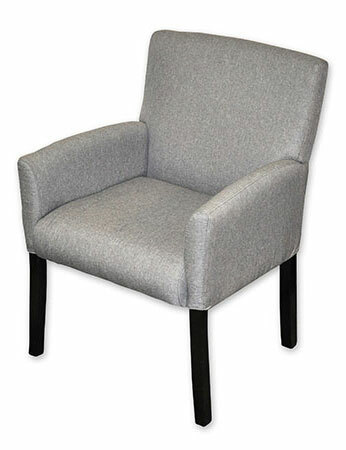 In stock in grey heather fabric with espresso legs. 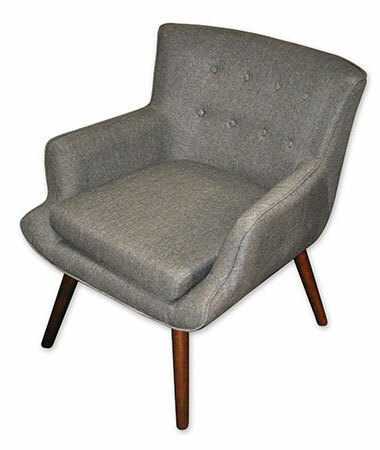 Fashionable accent chair with extra large seat. Reception station with plexiglass front. 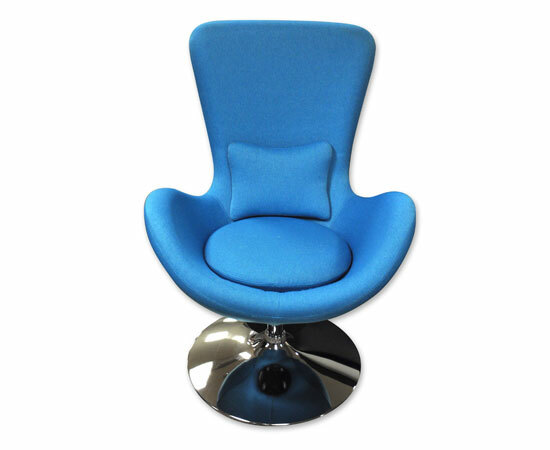 This unit can be customized to your size and color needs. Available in 30 finishes. 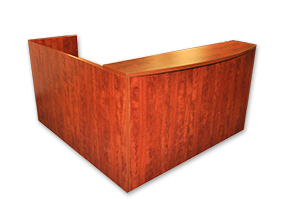 Commercial quality, yet value priced reception seating. 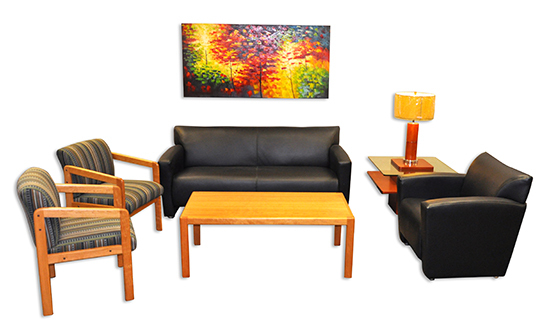 Available in sofa, love seat, and club chair. 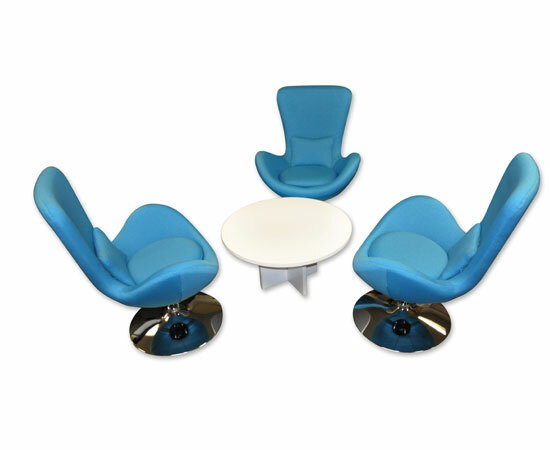 Several styles include contemporary or transitional. 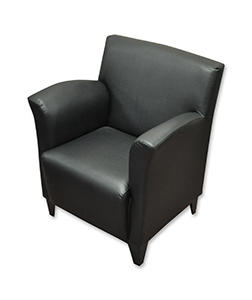 Customize to your décor with black, brown or white leather. Black Leather in Stock. 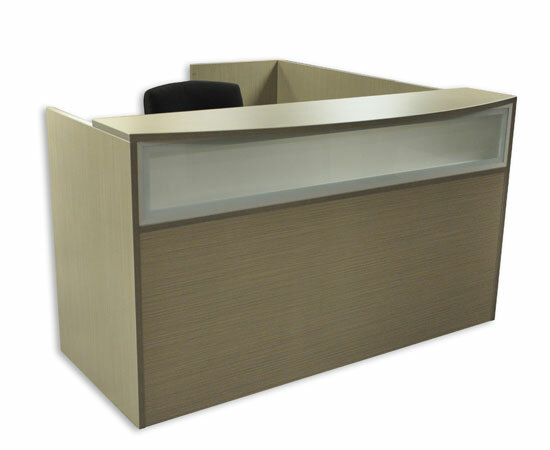 Value Series reception station is in stock in a variety of configurations. 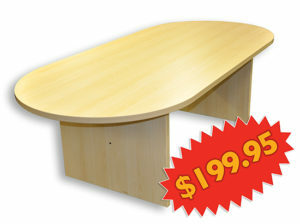 Basic unit starting at $327! First impressions are so important to your business. 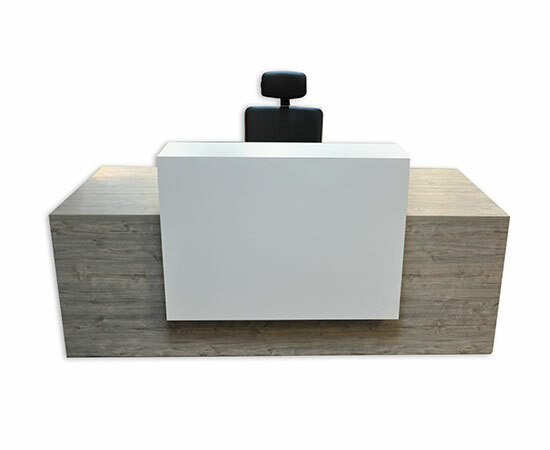 Often times the standard reception desks just won’t fit your size needs or décor, but custom stations are just too expensive. 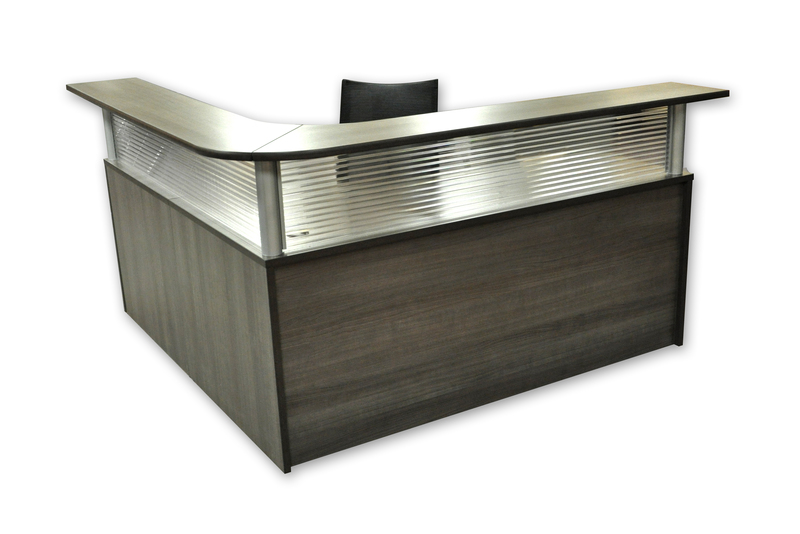 With our affordable design-to-fit option you can get the look and perfect size for that “wow” when your clients come in. Simple, functional, and private. These units can be set up to work for a single approach edge or multiple. With 25 finishes to select from you’re sure to get it just the way you want it. 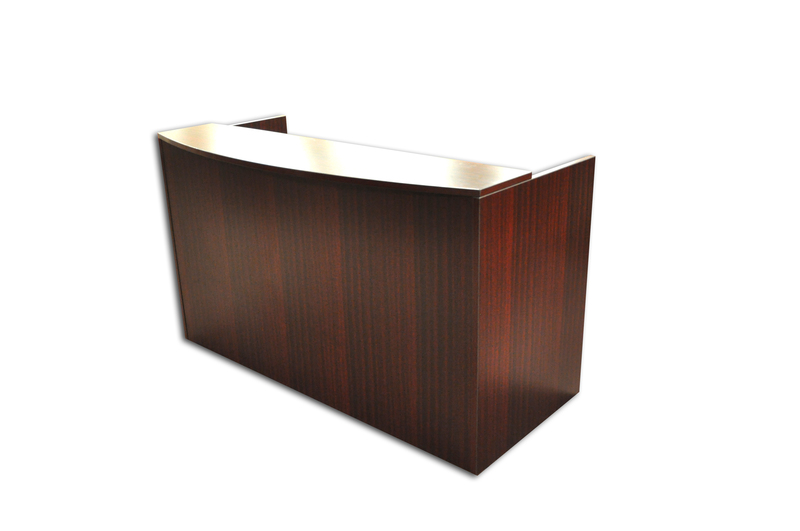 Contemporary reception is easy with Podany’s. 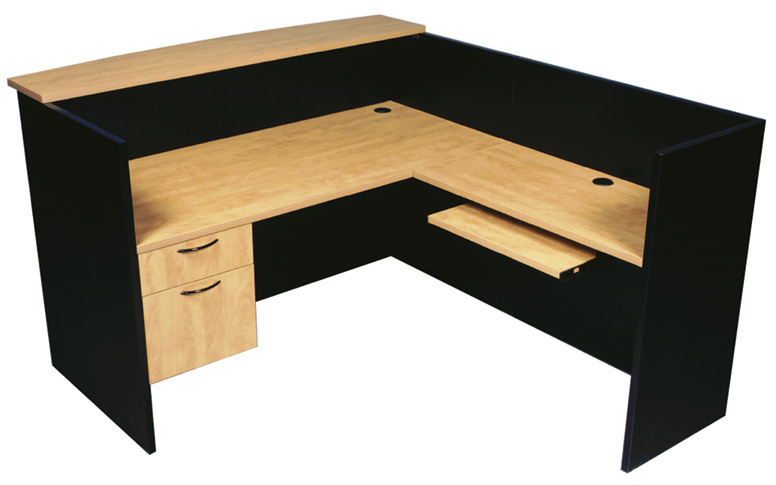 Select desk size, return size, and colors to complete your space. 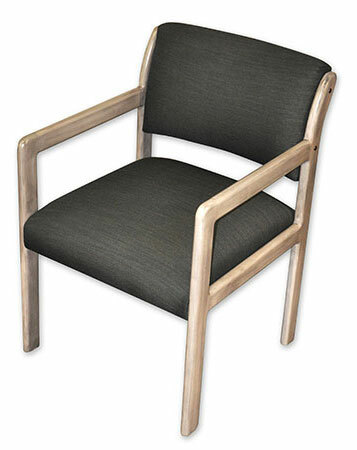 Contemporary Box arm chair works well in smaller reception areas.